Natura Siberica – the winner in the nomination “Best face care product” awarded by «Beauty Challenger Awards 2014″ (Paris, France) From 9 to 11 September in Paris was held one of the largest cosmetics exhibitions – «Beyond Beauty 2014″, where Natura Siberica presented its products. During the exhibition took place the awarding of the best cosmetic brands «Beauty Challenger Awards». 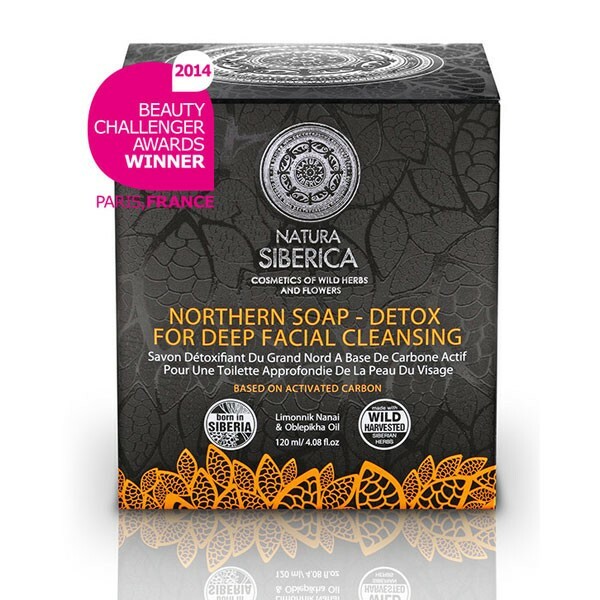 The product “Northern Soap-Detox” by Natura Siberica was declared the winner in the nomination «Best face care product». Filled with unique properties, northern herbs and berries have been known to be rich in valuable oils and vitamins since ancient times. Northern people have traditionally used them for creating medicinal infusions and elixirs to help them preserve health, amazing vitality, and youthfulness. Natura Siberica's experts carefully studied and brought together the ancient recipes of the northern Nenec, Selkup, and Khanty people, and have used them to prepare a unique natural product, “Northern Detox – Soap for deep facial cleansing”. The soap is made of activated carbon, which is a great absorbent, and of wild herbs and berries extracts, so called «The Northern Collection».